Very efficient. Helped set up an appointment to get my wisdom teeth right there with an awesome finance program . Very professional, friendly and quick service. Beautiful staff as well! I highly recommend this office to others for alltheir dental needs. 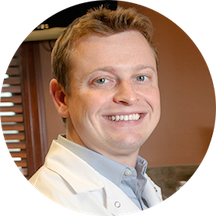 Dr. Benjamin Hanson is a dentist treating patients in Brownstown, Michigan, and the surrounding communities. His goal as a practitioner is to apply first-class care to improve his patients’ health while meeting their specific oral-health needs. He treats his patients as he would treat himself or his family. Dr. Hanson is a member of professional organizations including the American Dental Association, the Michigan Dental Association, and the American Dental Society of Anesthesiology. For his undergraduate degree, Dr. Hanson attended the University of Michigan. He pursued his doctoral dental degree at the University of Michigan School of Dentistry. Dr. Hanson continued his dental education through the Veterans Affairs Ann Arbor Healthcare System, where he received his general practice residency training. Patients visiting Dr. Hanson can receive a full range of dental services. He provides general dental consultations, as well as treatment for specific oral-health issues. When he is not treating patients, Dr. Hanson enjoys painting, running, and spending time with his family. Very quick! Love their attitudes! Made me feel extremely comfortable! Definitely recommend! The appointment was handled with professionalism, efficiency and a gentle manner. He was very accommodating and kind. I hate going to the dentist and I could tell that he and his assistant were trying their best to reassure me. Very friendly... Quick and affordable. I called to set up an appointment to have a problem checked out that I was having. This was a Saturday and that Monday at ten AM, I was inside the Brownstown Dental Center with Benjamin Hanson for more than justa consultation. I thought I was going to have to come back and set up another appointment at a later date to have to problem fixed because of how busy they were, but he was able to fit me in for the consultation, a filling, a root canal, and an extraction all on my first visit. His hands were like magic and you can tell that he takes his time with each examination and makes sure that his patients get the treatment they deserve. Only the best, from one of the best. Highly recommended for fast pain free dental work by a professional who cares.